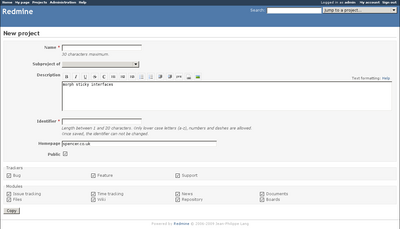 One of the new features included in Redmine 1.0 is the ability to cache the text formatting. 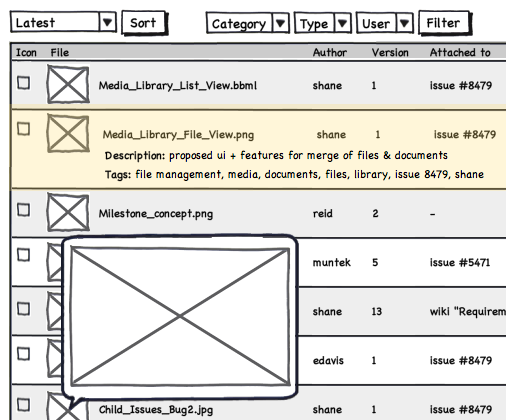 Each time Redmine displays any text markup, like Textile, it has to run the text through a conversion process to get HTML. This means that an issue with 30 comments will run this conversion runs 31 times, once for the issue description and once for each comment. The Cache Text Formatting feature will take the results of that conversion and save it so the next time that HTML is needed, the conversions can be skipped. By default this is off but it can be turned on by in the Administration Settings with the option "Cache formatted text". If you are interested in more details about this feature, checkout issue #4482 and my blog post where I went through how the text formatting works in more detail. 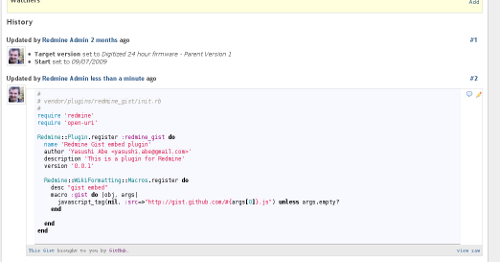 This weekend we held the first ever Redmine BugMash. 21 bugs were fixed, including everything needed for the upcoming 0.9.5 release. and many others who helped out on IRC this weekend. Because of the success of this BugMash, we are considering having another one. So if you weren't able to participate this time, there will be another one soon. If you're interested in helping out, as a participant or an organizer, leave a comment below. I'll be working on the Wiki pages for the event as well as putting together a list of issues I'd like to resolve. If you have some time and would just to join, stop by irc this weekend and we'll help you get started. 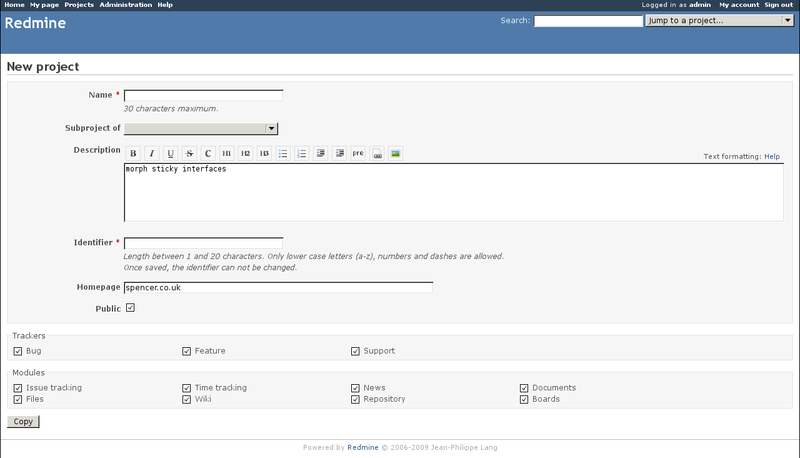 issue.subject = "Changed via the API"
Both the Redmine API and the redmine_client are under development so I'll be adding new features over the next few months up to Redmine 1.0. Feel free to fork the project on Github and hack away at it. 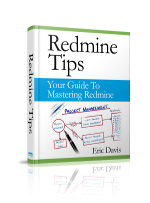 Redmine has a large codebase and sometimes it's hard to find the class or method that you need for your custom development. Since I recently added support to Redmine for YARD (a powerful Ruby documentation tool) I figured that I'd post the generated documentation here. 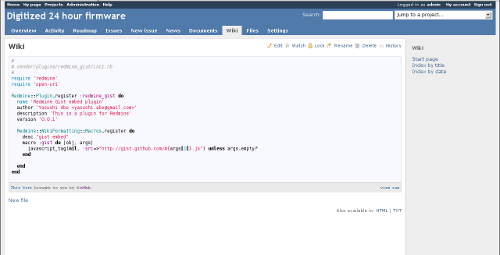 To install, just extract one of these zip files and open the index.html in a web browser. Instant local documentation! 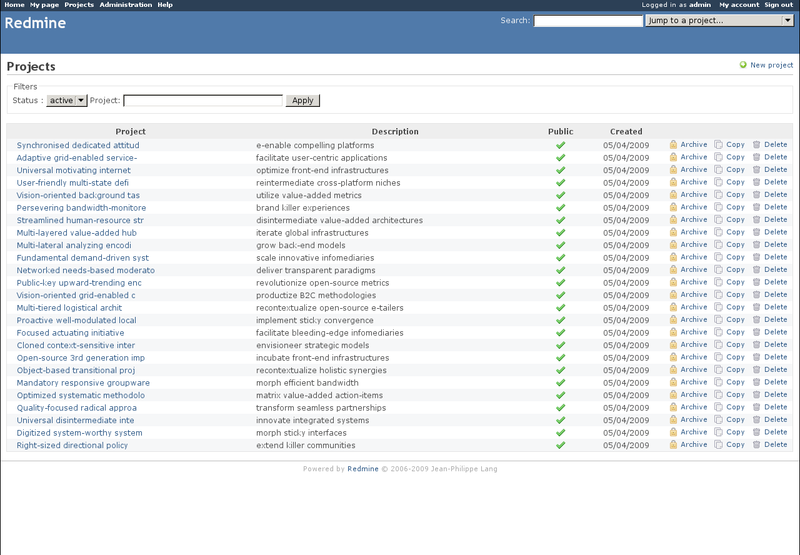 If you want to regenerate the documentation from your Redmine, just install the YARD gem (gem install yard) and run rake yard while in the Redmine root directory. If you want to improve the documentation or code comments, feel free to submit a patch to Redmine and we will integrate it into the core. It's hooked up to the official Redmine repository so every code change will run the tests to make sure nothing was broken and report to the #redmine IRC channel. This will really make it easy for the Redmine developers to make sure Redmine runs correctly on the broadest set of platforms it can. Thanks Holger Just, Gregor Schmidt, Konstantin Haase, and the rest of the team at finnlabs for managing this resource for the Redmine community. 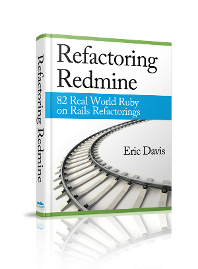 Recently Redmine was upgraded to run on the latest version of Ruby on Rails, 2.3.4. 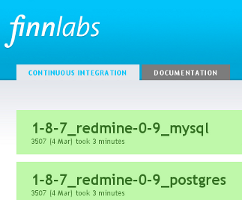 Redmine has been running on older versions of Ruby on Rails, 2.2.2 in trunk and 2.1.2 in 0.8.x. This upgrade will also allow us to take advantage of new Ruby on Rails APIs and third party code. I was able to fix the major bugs during the upgrade but like any other major change, there will be a few small bugs that appear over the next few weeks. 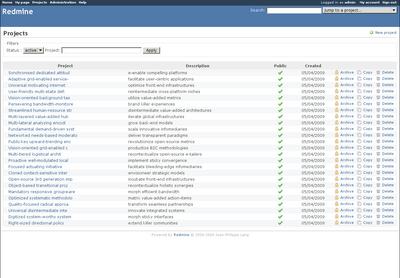 If you are able to run Redmine in a test environment, please upgrade to the latest trunk and let us know about any bugs or odd behavior you find. If you can troubleshoot the bug and are able to provide a patch, that would be awesome. 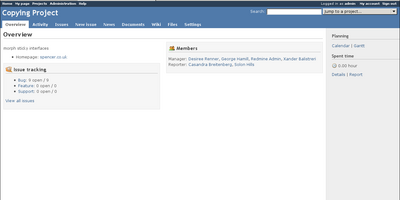 With this upgrade complete, I'm going to focus my energy into building the REST API for Redmine. 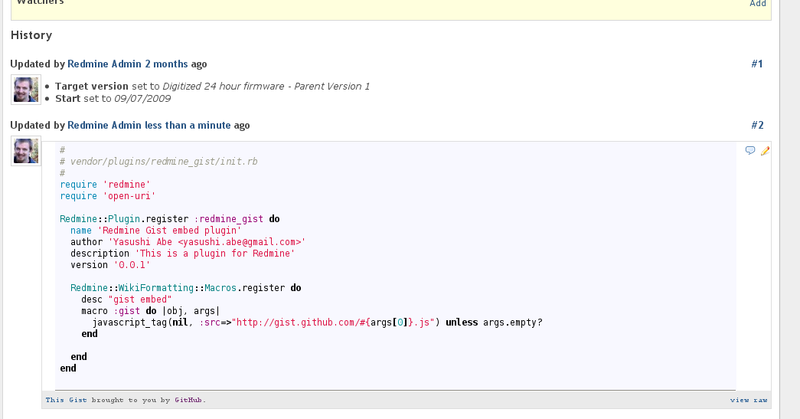 I'm hoping to build out the authentication part first so plugin developers will be able to add their own APIs. 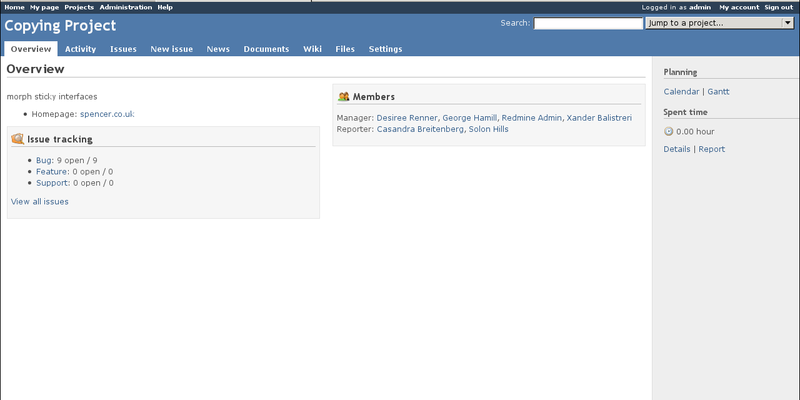 If you have an idea of what you'd like to use a Redmine API for, please comment on the API ideas forum thread I've posted.